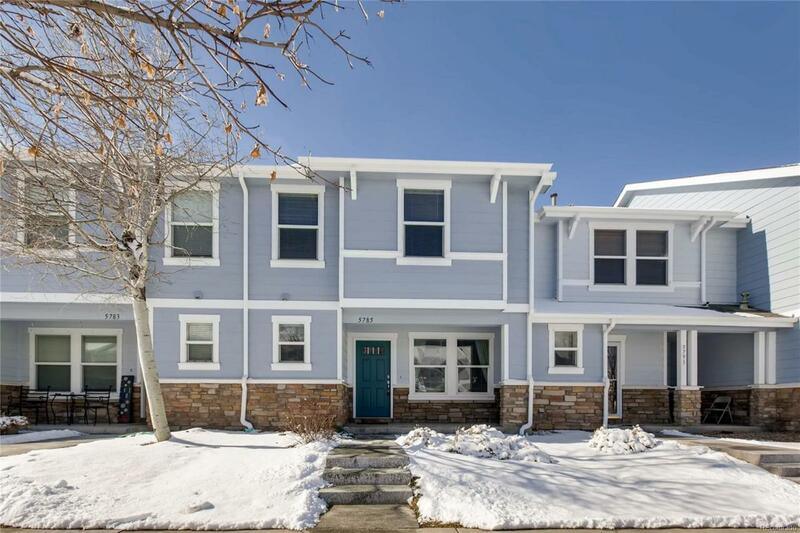 Come see this beautiful 3 bedroom 2.5 bathroom townhouse in the heart of Green Valley Ranch and First Creek! With an open floor plan and tons of upgrades this property will not last long! Picture yourself grilling out in the professionally manicured park just steps from your front porch. Then walking back to watch the game in the huge living room and dining room area perfect for entertaining. Stay out of the cold and snow with the attached garage. Public transportation is within walking distance, never leave your car out in the cold when you travel. Just take the light rail (less than a mile from your front door) straight to the airport or downtown. The unit and neighborhood has it all so do not miss out on this rare opportunity.